93 Points for our Cuxinales! 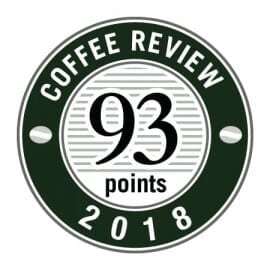 Our Cuxinales from Antigua, Guatemala received a 93 point score in November 2018 from Coffee Review! Balanced, deeply rich and sweet. Butterscotch, sandalwood, dark chocolate, dried apricot, lantana in aroma and cup. Appealing bittersweet structure with brisk acidity; syrupy-smooth mouthfeel. The finish consolidates to notes of dark chocolate and butterscotch. This coffee tied for the third-highest rating in a cupping of coffees from big-bean varieties for Coffee Review’s November 2018 tasting report. Produced at Finca Cuxinales entirely of the Pacamara variety of Arabica. The Pacamara is a big-beaned hybrid of the Bourbon-related Pacas and the huge-beaned Maragogipe, a mutant of the ancient Typica variety. This is a wet-processed or “washed” version, meaning the fruit skin and pulp were removed from the beans immediately after harvesting and before drying. Barrington Coffee is an artisan roaster dedicated to elite coffees, fresh delivery and roasting that foregrounds the coffee and not the roast. Visit www.barringtoncoffee.com or call 800-528-0998 for more information. The Bottom Line: A deep, chocolaty cup with crisply sweet fruit and floral tones.